Hi, I'm Yuri Cunza, thank you for visiting my page! Please find below a description of my personal and professional interests and how to reach me. 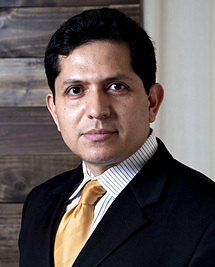 Yuri Cunza is a media professional, business leader and community advocate. Yuri Cunza serves as President and CEO of the Nashville Area Hispanic Chamber of Commerce, and is co-founder and editor in chief of the Spanish language newspaper La Noticia and owner of Y&K Entertainment a media consulting and support services company based in Nashville. Yuri Cunza was elected last July 2010 as Council Member at Large to the Nashville branch of the Screen Actors Guild. He serves on the boards of the Nashville Film Festival, Historic Nashville Inc, Sister Cities of Nashville and Community-based AIDS service organization Nashville Cares. An accomplished writer and public speaker Yuri Cunza has appeared before thousands of corporate, institutional, educational and government audiences including, the U.S Attorney's Office, U.S Hispanic Chamber of Commerce, the Metro Police Academy, FBI, Nashville Fire Department, Nashville Mayor's office and Nashville Metro Public Schools (NMPS), Meeting Planners International, Walmart/SAM's Club, McNeelly Piggot and Fox, Association of Public Accountants, Jefferson Street Missionary Baptist Church, The Urban League, IMF's MLK Annual Celebration, NAACP, University of Memphis, Boy Scouts Club, Tennessee State University (TSU), Middle Tennessee State University (MTSU), Vanderbilt University and more. A Nashville resident for 12 years, Yuri Cunza became a U.S Citizen on September 22, 2006. Since March 2010, Cunza has been named in the Nashville Post's "In Charge" list of business and community leaders who are writing Music City's (Nashville) success story. Cunza has earned several professional certificates from the Mendoza School of Business at the University of Notre Dame's Non Profit Executive Program through a partnership between the University and the USHCC Foundation. Most recently, Yuri Cunza attended Harvard University John F. Kennedy School of Government. In September 2013, The NFL Titans Hispanic Heritage Leadership Award. On December 10, 2014, Cunza will receive the Outstanding Service for Human Rights Award during the annual Tennessee celebration of International Human Rights Day at the First Amendment Center in Nashville. A special tribute to John Seigenthaler and George Barrett, human rights advocates who died this year, will be part of the program. Writing, reading, acting, cooking, science and future technologies.